Reeb® Finish has Added 3 New Colors to our PrismaGuard™ Offering. Driftwood, Dark Maple and Bark! 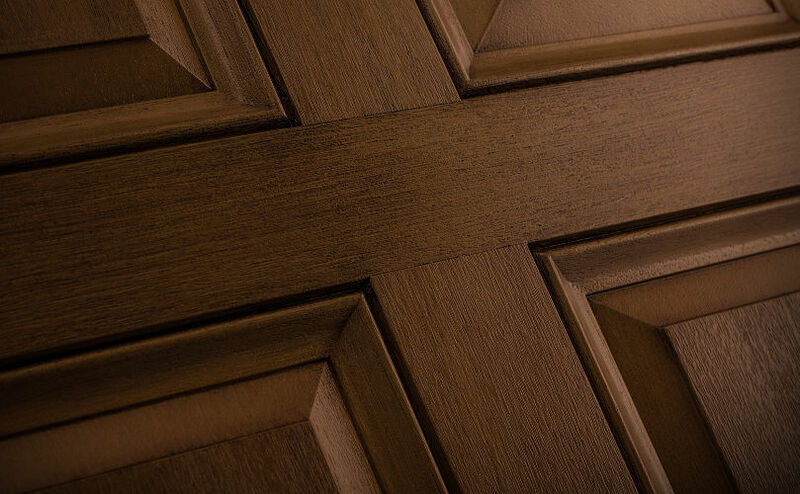 PrismaGuard™ by Therma-Tru® is a finish for fiberglass doors that combines durability with the natural look of real wood. 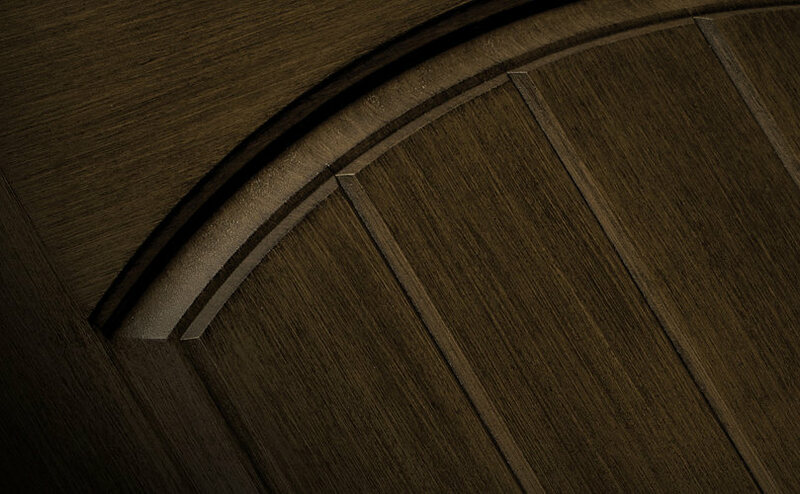 It is the most authentic looking finish available for fiberglass doors and cannot be duplicated in the field. When Reeb Finish first launched our PrismaGuard Stain offering, we decided to offer 7 colors which provided a trade-match for each of the 7 Same-Day Stain (SDS) finish options. * Original offering, Barley, is now discontinued. Please see new offering Bark below. Since then, in late 2017, due to the popularity of Mulberry, we expanded our color offering to include Outback which provides a Mahogany color variation with warmer red/rustic tones. Shown in Reeb Finish PrismaGuard Shale. At the same time, based on feedback from our customers we decided to add 2 unique colors to our offering - Raven, which brings a modern element with black tones and Shale which adds a contemporary look with gray tones. While these colors don't have the natural look of wood, they are a perfect option when choosing a door to complement modern or contemporary looking homes. Today, we are excited to announce Dark Maple, Bark and Driftwood! Due to the high demand of our Walnut looking colors, Dark Maple and Bark are being added to provide more shades of Walnut. Dark Maple provides a Walnut color with red undertones, while Bark provides a Walnut color with yellow and green undertones. 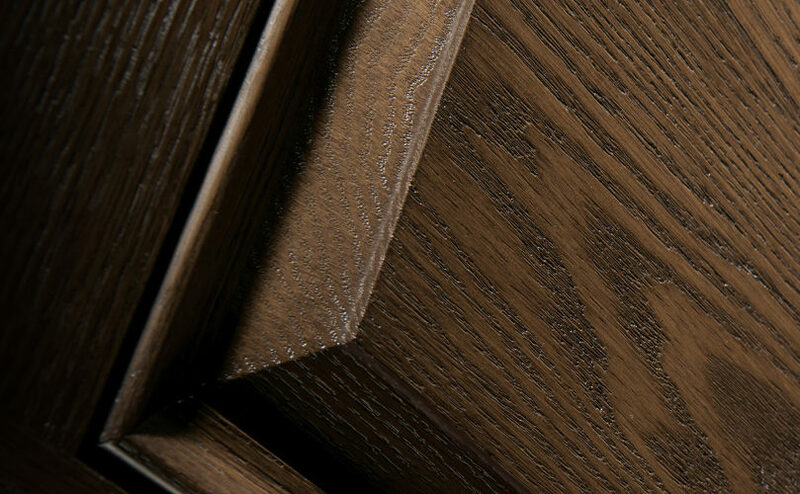 When Therma-Tru recently expanded their PrismaGuard color offering, we reviewed all of the new colors and we feel that Bark is a closer match to Same-Day Stain English Walnut than our previously offered Barley. For this reason, we are adding Bark and discontinuing Barley. Driftwood is a bold new addition to our Modern/Contemporary series. 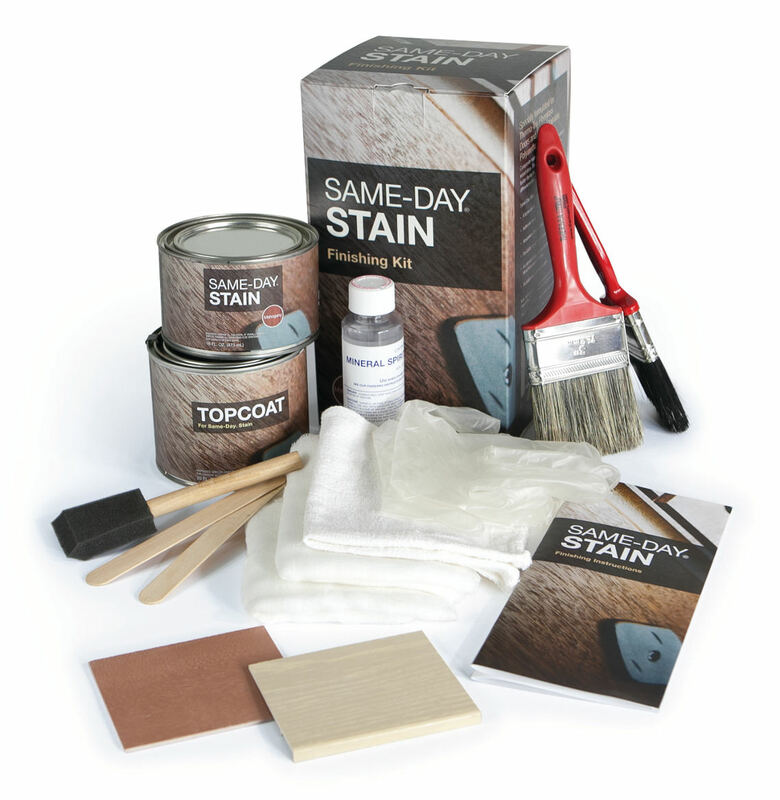 Same-Day Stain is a DIY stain kit for fiberglass doors created by Therma-Tru. It provides a natural-looking finish with a colorfast stain that resists fading, bleaching and yellowing, and is backed by a 5-year limited warranty. It was a popular stain option used within the building industry for many years, prior to the introduction of PrismaGuard. Today, with the launch of this superior finish, many professionals are rapidly embracing PrismaGuard due to its convenience, increased durability and its improved warranty. The PrismaGuard process enhances the authentic grain patterns, while the dual top-coat highlights the fine details and ensures superior protection from the elements. All PrismaGuard finishes on fiberglass doors are backed by a 10 year limited warranty. We strive to make the colors shown as accurate as possible. However, due to the inconsistencies of various monitors, the colors on your screen may not be an accurate depiction of the actual color. All content © 2019-2020 Reeb® Millwork Corp. All rights reserved.